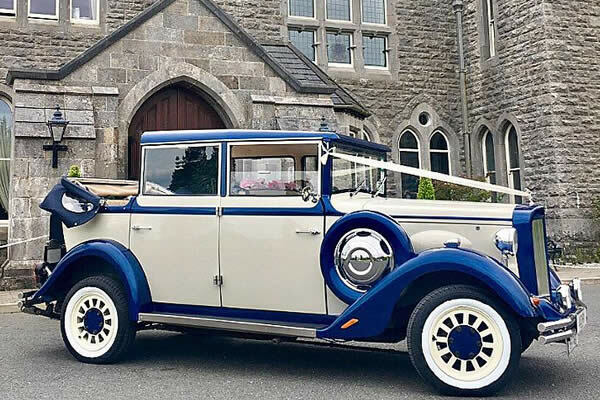 The Regent Landaulette is a vintage style motor car, reminiscent of the 1920s Rolls Royce. The Regent retains the look and feel of a 1920s Rolls Royce, but unlike a 1920’s Rolls Royce, the Regents come with the comforts, reliability and safety of a modern car with features such as disc brakes, heaters, wipers and fog lights. 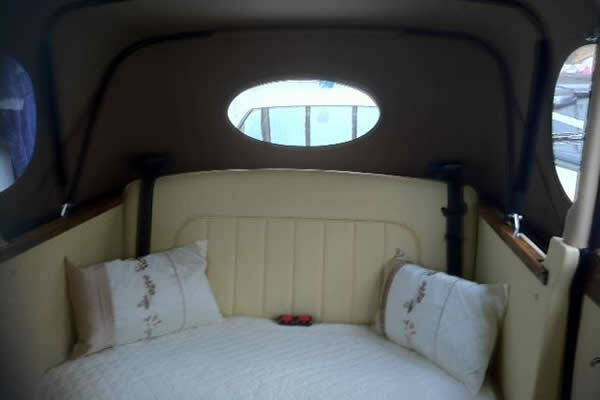 The interior of the car has a luxury feel of a bygone era, with white leather interior, walnut panelling and chrome finishes. 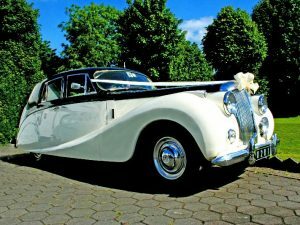 The soft-top hood of the Regent can be lowered or raised, depending on the weather condition. 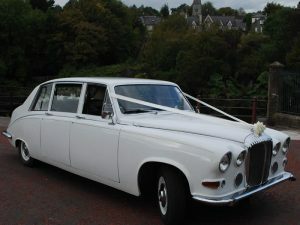 The Regent has very generous leg and headroom and it is very comfortable to ride even on longer trips. 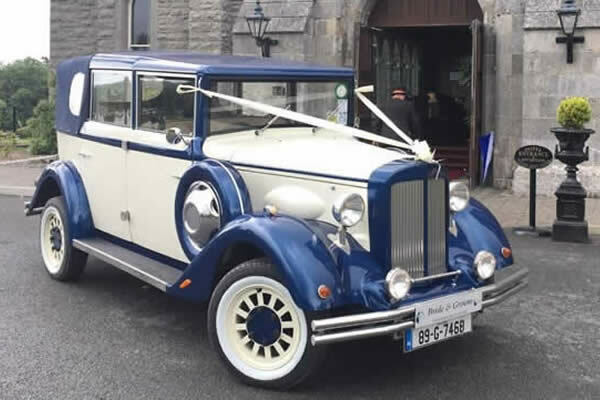 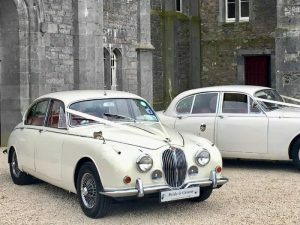 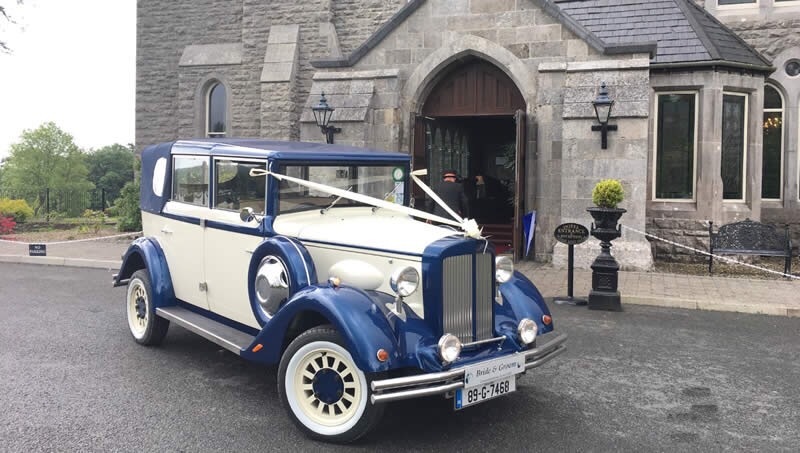 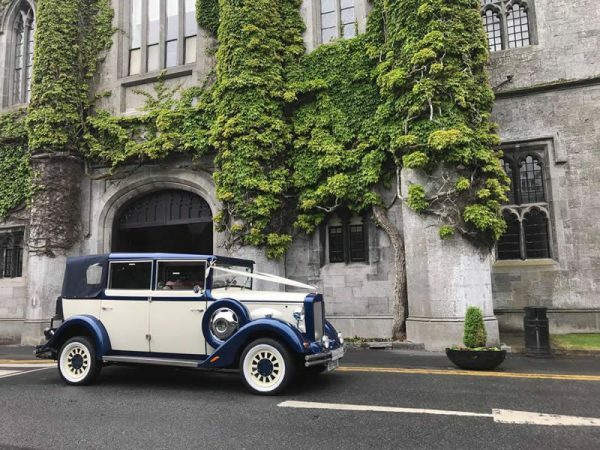 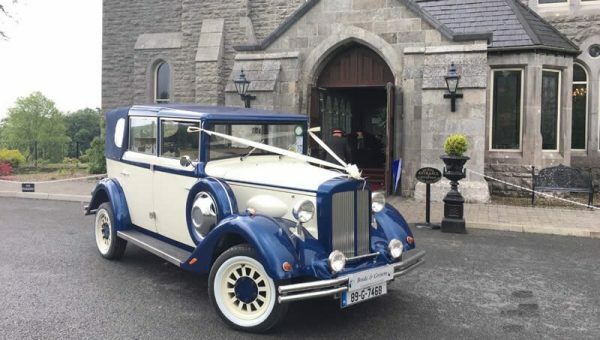 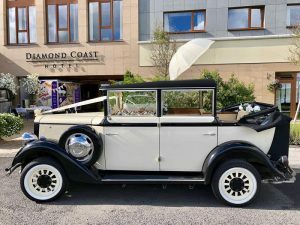 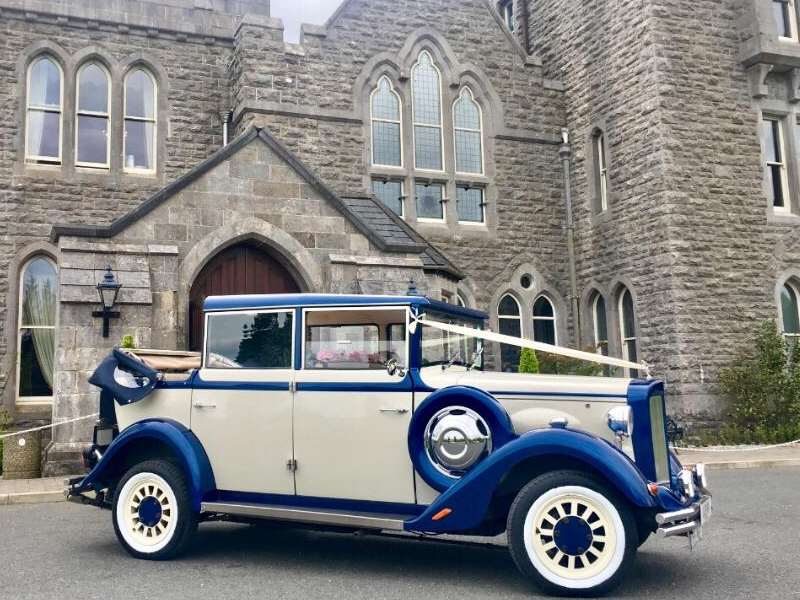 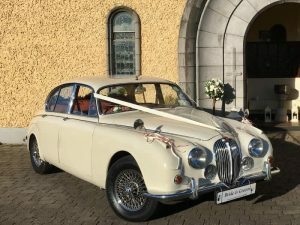 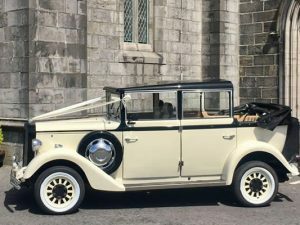 The car can seat comfortably up to 5 people and its large, wide opening rear doors, give easy access to and from the vehicle, even when wearing a large wedding gown. 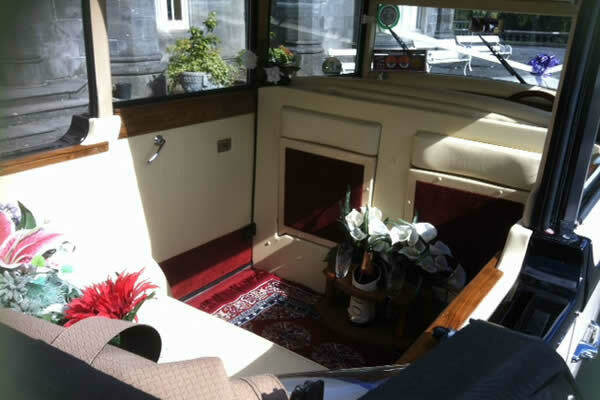 The large rear seating area incorporates a cocktail cabinet and fold-down tables with champagne glass holders. 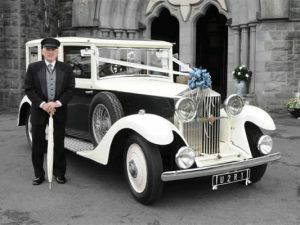 The Regent is very “photogenic”. 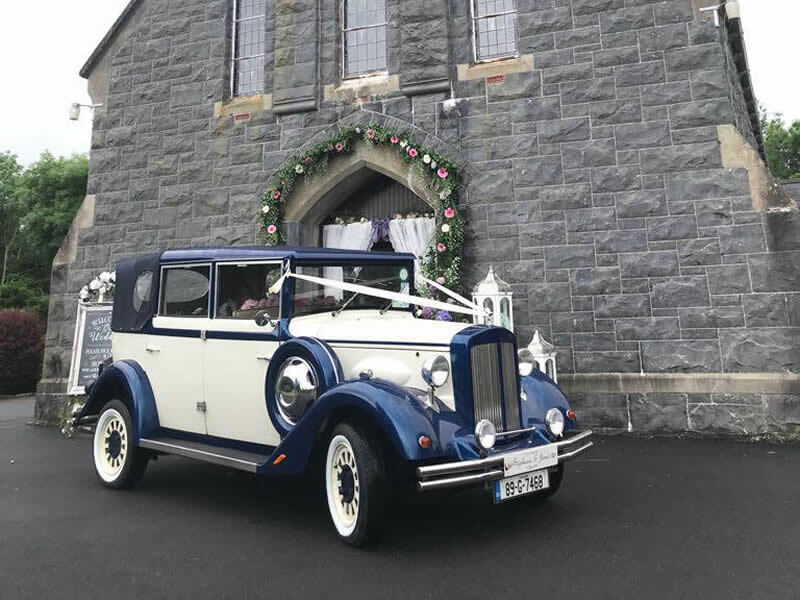 Its side wings and running boards and it’s spare wheel mounted on the front wing make the perfect setting for any photographer.